The Social Cost of Carbon is the foundation for numerous Obama-era energy policies, regulations and programs. Under complex SCC metrics, agencies calculate the “hidden costs” of carbon dioxide emissions associated with fossil fuel use, assigning a dollar value to each ton of CO2 emitted by power plants, factories, homes, vehicles and other sources. Originally, in 2010, every ton of U.S. emissions averted would prevent about $25 in global societal costs allegedly resulting from dangerous manmade climate change: less coastal flooding and tropical disease, fewer droughts and extreme weather events, for example. Within three years, regulators increased the SCC to around $40 per ton, the better to justify the Clean Power Plan, Paris climate agreement, and countless actions on electricity generation, drilling, fracking, methane, pipelines, vehicle mileage and appliance efficiency standards, livestock operations, carbon taxes, and wind, solar and biofuel mandates and subsidies. The Trump Administration is challenging this climate cataclysm edifice – prompting activists to launch campaigns asserting that the SCC is so rooted in solid science and economics that any attempted rollback would fail. In reality, the social cost of carbon is little more than junk science and Garbage In-Garbage Out forecasting. That’s why the House Science Committee’s Environment and Oversight Subcommittees has held an investigative hearing on the subject. First, the supposed bedrock for the concept is the shifting sands of climate chaos theory. New questions are arising almost daily about data quality and manipulation, the degree to which carbon dioxide affects global temperatures, the complex interplay of solar, cosmic ray, oceanic and other natural forces, and the inability of computer models to predict temperatures, sea level rise or hurricanes. Meanwhile, as the 2015-16 El Nino dissipated, average global temperatures have fallen back to their 1998-2014 level, according to Britain’s Meteorological Office. That means there has been no measurable planetary warming for 18 years. The very notion that U.S. emissions impose significant climate costs is increasingly indefensible – and developing nations are burning fossil fuels and emitting CO2 at many times the U.S. rate. Second, the SCC scheme blames American emissions for supposed costs worldwide. It incorporates almost every conceivable cost of oil, gas and coal use on crops, forests, coastal cities, property, “forced migration,” and human health, nutrition and disease. However, it utterly fails to mention, much less analyze, tremendous and obvious carbon benefits. That violates a 1993 Bill Clinton executive order requiring that federal agencies assess both benefits and costs of proposed regulations. It is also irrational, completely contrary to human experience. Fossil fuels created the modern world and lifted billions out of destitution and disease. They supply over 80% of the energy that powers United States and other modern civilizations, and will continue doing so for decades to come. They generate up to $70 trillion in annual global GDP. Using readily available data on global living standards, economies, disease, nutrition, life spans and other benefits – and the government’s own SCC cost figures and methodologies – we estimate that carbon benefits exceed costs by orders of magnitude: at least 50 to 1; as much as 500 to 1! The U.S. Energy Information Administration forecasts that fossil fuels will provide 75-80% of worldwide energy through 2040 – when the total amount of energy consumed will be at least 25% greater than today. That means these notable benefit-cost ratios will continue. The SCC ignores all of this, too. Third, SCC schemes likewise impute only costs to carbon dioxide emissions. However, as thousands of scientific studies verify, rising levels of this miracle molecule are “greening” the Earth – reducing deserts, and improving forests, grasslands, drought resistance, crop yields and human nutrition. No matter which government report or discount rate is used, asserted social costs of CO2 are infinitesimal compared to its estimated benefits. Fourth, government officials claim they can accurately forecast damages to the world’s climate, civilizations, economies, populations and ecosystems from U.S. carbon dioxide emissions over the next two to three centuries. They say we must base today’s energy policies, laws and regulations on those forecasts. The notion is indefensible, even delusional and dangerous. The rate of change in energy generation, communication, medical and other technologies has become exponential over the past several decades, with forecasting ability declining at an equal rate. Uncertainties over natural forces and climate change during the coming decades and centuries are equally colossal. Amid all the other SCC assumptions, methodologies, fabrications and omissions, injecting such predictions into high-speed computer models simply paints scientific varnish over a phony endeavor. Politicians, bureaucrats, activists and corporate rent-seekers certainly welcome the intellectual special effects and facades. But we taxpayers and consumers should be wary of the power that the SCC gives them over energy, economic growth, livelihoods and living standards. Eliminating the social cost of carbon and programs implemented under its aegis requires little more than applying the same rules and standards that government regulators have imposed on Volkswagen, Fiat and Wall Street dishonesty. However, rooting out this government deception is far more important, because the scope, impact and cost of the agenda-driven SCC chicanery are infinitely greater, affecting every aspect of our lives. Congress, President Trump and EPA Administrator Scott Pruitt need to review, rescind and defund the scheme – and replace it with honest, objective cost-benefit analyses. It’s even simpler than that. The question to ask is who backs fossil fuel use and who backs so called green energy and in particular wind turbines turbines and solar collection plants? The answer is the same big money financial interests back BOTH! So they get our politicians to force us to subsidize technologies that MUST be backed up with fossil fuels and they make money on both sides of the issue. Manipulation of data, engaging in hyperbole and using Fascism to silence opposing voices are some of techniques used to ensure we are convinced to throw our good money at their bad technologies without complaining. Unfortunately, Mr. Castillo is correct. Trying to case or effect climate by regulating CO2 is pointless, accomplishes nothing and is VERY , VERY expensive. But why would ne want to do it in the first place?? It is not a poison to us or plants. We should not. Not only is it not poison for plants, it is FOOD/ fertilizer for plants, they grow exceptionally well with CO2 levels TRIPPLE the atmospheric levels of today. NPK etc is plant food. CO2 is not plant food. CO2 is taken in thru the stoma, it is then disassembled into Carbon and Oxygen, these two are than combined with Hydrogen atoms from water absorbed by the root system and become parts of the plant, roots, stalk/trunk , stems / leaves/etc.. The oxygen from the H2O is released. Thus, in a manner of speaking, the CO2 is food. Check your biology again. No, the C is an energy carrier in a molecule created by photosynthesis to drive the cycles in plant cellular respiration and plant metabolism. NPK, then micronutrients Mg, Ca, Fe etc are the nutrients required by plants to exist (their ‘food’). Perfect. Since we are on a page that cuts out the overly simplistic memes that deniers use on this topic, we can speak properly and stop with the ‘food’ bit. That page tells you that CO2 is not plant food. Plants make their own food. That page also tells you that plants use CO2 as a basis for an energy carrier (the C), the O2 is used for electrons. The page also tells you about storage products that plants make, which are derived from molecules taken from soil water, esp. N, P and K but also Ca, Mg, etc. Thank you for that page. I will link to it whenever I see someone state ‘CO2 plant food’. It seems Israel is trying to understand CO2 and the effect on trees. http://nocamels.com/2017/02/trees-share-resources-interact/ It seems they “share” resources with certain trees. Please learn the meaning of the term. Marxism is the correct description. Freeman DYSON points out that there are measurable fertilization benefits from CO2 emissions. A 25% INCREASE IN WORLD BIOMASS PRODUCTION. if the science was honest there would be a social benefit to carbon emissions. You guys need a new comedy writer: That means there has been no measurable planetary warming for 18 years. You aren’t even being a good paid shill anymore. Yawn. The NOAA whistle blower said that NOAA used the ocean temp data from ship intakes to show a temp increase as this method of data collection has a higher temp than the actual ocean water. They chose the ship intake data set instead of the buoy method of data collection because the buoy method did not show a temp increase; cherry picking the data to enforce the agenda. NASA and NOAA have colluded to show temp increases over the last 100+ years despite the inconsistent use of instruments to collect the data, methods of data collection and size of data samplings. This violates the scientific method to generate empirical data. Combine this with their proclamation of knowing this and “adjusting the data to reflect the inconsistent processes of data collection” and all we have are a bunch of people guessing what the data would look like if the instruments, methods and sampling sizes were consistent. This is not good science. This is a hypothesis hijacked by politicians that have decided to proclaim a fact by manipulating data. No, the NOAA whistle blower (sic) didn’t say that. You were duped by the proven liar David Rose. Drink! Another glass of Merlot! Has Hollie or Sara recommended rehab yet? You may want to look into it — for your liver’s sake. Please share the percentage of natural climate change and the percentage caused by man-made CO2 emissions based on the above graphs. Then square this with the medieval warm period. What happened there? It is 95% certain that ~105% of the changes since 1950 are from man. The MWP had no causation due to man’s emissions after 1750. Did natural causes take a timeout after 1950? Can I get a link to this peer reviewed paper? Natural causes were swamped by human activity. If that is the case you should have the % of Natural versa Man-made changes- right? Can you tell us the natural causes that have occurred swamping out man-made warming? If you can tell me that you should also have the cause for MWP right? I already gave the figure for man-made warming – ~105%. If you cannot quantify Natural causes and global warming or global cooling are the sum of manmade causes and Natural causes how can you forecast the future? You told me natural causes of cooling were swamped by human activity. Can you show me a contemporary graph of global temperatures without manmade greenhouse gases (as happened in the MWP and the little ice age)? If you can’t do that you cannot forecast. Swamped is not very definitive. You’re being silly. Aside from the fact that earth scientists project and don’t predict, here is the chart of temps without MMGHGs. See how the planet would have continued its cooling trend starting ~5KYA without man’s intervention. These charts start at 1880, so no I do not see a cooling trend for 5KYA. Project: something that is contemplated, such as the hockey stick. Predict: forecast, prophesy, such as the hockey stick. The natural factors (blue line) is pretty much a flat line with a few wiggles. Again with temperatures and satellite measurements how did you differentiate the natural from the manmade? Who put in the wiggles in the blue lines, he would know? Now you’re flailing (likely to keep the cognitive dissonance at bay). But here’s your cooling trend, shown here many times. If the science gives you a sads, I can’t help that. Again with temperatures and satellite measurements how did you differentiate the natural from the manmade? Picking an average for natural causes and holding it constant is not science that is unfounded speculation. how did you differentiate the natural from the manmade? Picking an average for natural causes and holding it constant is not science that is unfounded speculation. Write letters to the scientists who performed the analyses and tell them their conclusions give you bad feels. Let me put it another way, it’s pretty simple if you follow the scientific method you rule out or quantify other possible causes before you can validate your hypothesis. Excuses like the Gobi dust storms, the polar vortex, El Nino, La Nina, Ocean heat sink and swamped out by natural causes do not hold up under scrutiny. I’m surprised you don’t have any more answers for me. You had all the answers before. Could you point to the scientists that have quantified each of the possible natural causes of changes in global temperatures without trying to mix in MMGHGs? These scientists would have the answers/causes to the Roman warm period, the medieval warm period and the little ice age and the next ice age, right? The science did that long ago, lad. You don’t seem to have the basic knowledge to be able to grasp these basics. You are confoosid. We know you are confoosid because you ask these facile questions, when we all know you should have learned the answers in high school, in addition to being given the publication that has the references that answer these questions: Could you point to the scientists that have quantified each of the possible natural causes of changes in global temperatures without trying to mix in MMGHGs? These scientists would have the answers/causes to the Roman warm period, the medieval warm period and the little ice age and the next ice age, right? That is: I already pointed for you. Can you grasp it? You pointed to a flat line with small wiggles as natural causes, then when the temperature slope changes you blame swamped out by natural causes without specificity. Using that methodology you can justify any change in slope by blaming natural causes (the pause). Well if that’s the best blather you got, continue with your religions endeavors. I pointed/blamed nothing like that at all. Clearly you are confoosid and lack ability to think this issue through or to figger out where them thar squiggly line thingies came from. What did you imply by swamped out? I implied nothing. I stated that natural causes were swamped by man-made factors. I gave you the reference for your education, cognition, and understanding. Read it. Try to grasp it. It all gets back to the same point, you cannot separate the global temperature between its natural and manmade components. Here’s a couple references for your education, cognition, and understanding. The book “The deliberate corruption of climate science” by Tim Ball. You might notice the difference between Government paid or funded scientists and those that do not see the importance to supporting the anthropogenic global warming dogma. You might also note that those scientists that leave NASA, NOAA and IPCC no longer support the party line. There are more than 30,000 scientists, engineers and physicists that don’t buy the incomplete alarm science that is being sold to the public. Wow. Tim Ball and Don Easterbrook. That’s far down the clown denier hole. I’m pretty sure that the authors of the paper I gave you LOLzed many times at poor hapless timball, and never thought of Don at all. You are about as deep as the “science guy”. When skeptic doesn’t work change it to denier. When global warming doesn’t work change it to climate change. When real unencumbered scientists present their evidence you don’t attack them scientifically you attack their character not there science. Eventually more and more of the public and even some of the more enlightened politicians are going to catch on to the mythology. I think the idea of prosecuting deniers has fallen to the wayside. What to do? You’re flailing miserably. You’ve regressed to using long-refuted shills and the laughable, ridicule-worthy OISM, which only the worst of the worst hapless denialists use. Call back when any of Al’s or Michael’s projections occur! Weak bluff to hide your comical flailing. Especially weak cuz neither make projections, but at least I can call the keyword for our Denialist Drinking game: Algore (isfat!) perdiktins! Drink! of Anthropogenic global warming? What about the “arctic being ice free during the summer by 2013”? 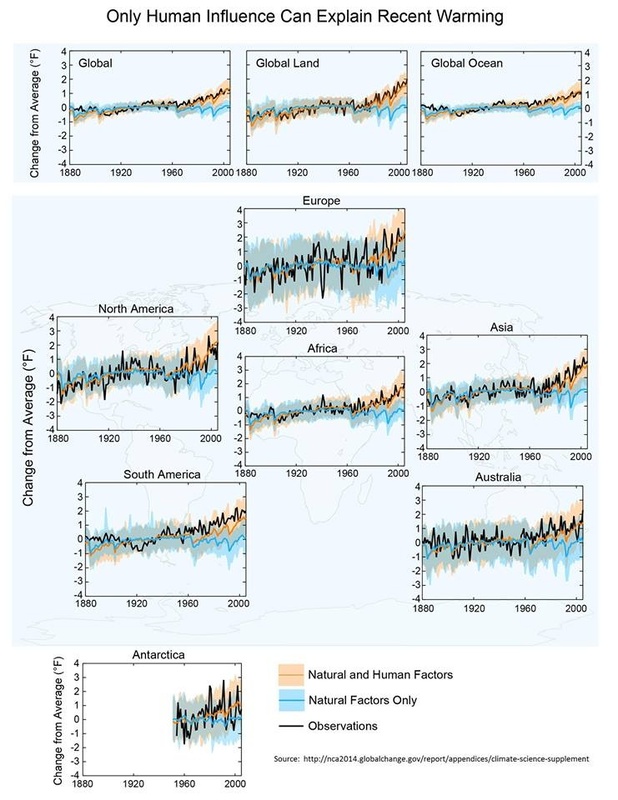 What about the “hockey stick” what about the other model projections that they support? Hilarious derpitude. You’ve got derp down pat. That proves my point, when you run out of sound responses you go to character assassination. Go join your Al sycophants. Thanks, you prove my point! That’s exactly what he does. He’s a narcissistic. These “arguments” feed his ego. I still LOLz every time I see it, to this day!! Planner Dan Staley of Aurora, CO is a condescending twit! Drink! The MWP was natural causes, as I stated. Hey, you guys “forgot” to quantify them: asserted social costs of CO2 are infinitesimal compared to its estimated benefits. and improving forests, grasslands, drought resistance, crop yields and human nutrition. Nutrition from food sources is determined by soil viability, and the various processing techniques used to manufacture cereals and the like. And what with C02 at an average of .04% ppm the impact on nutrients values will be just as miniscule. I’d hardly call National Geographic a non partisan source of scientific information. You’ll find more objective information in Scientific American and from individual researchers online. You’ve released a manuscript refutin’ a dozen or so previous studies? Who accepted it? When does it publish? Still running around screaming with your hair on fire, Dopey? Carbon Dioxide is not a poison and in fact our plant growth is blooming and so is Africa’s for the first time they can grow crops and feed themselves. Carbon Dioxide is taken in my plants and they give us Oxygen that we breath. Why on earth do we want to cut something that gives us oxygen??? Up to $44 trillion could be going up in smoke if the world does not act on climate change, according to the latest piece of research from U.S. banking giant Citigroup. Is this group part of the exchange that is raging in Europe over Climate change Units for sale This is when this whole thing started to sell those units – what they call them – Units or ??? Each company who was over their output of “Climate Change units with CO2 could sell them to a company who needed those units. Look at the flow here. 1 manufacturing A needs units for they produce a product that generates coal so in order to downplay their output they need to buy units so they can say they are under this stupid artificial requirement. Now let’s look at this coal is being used to produce the product so they can compete internationally, but in order to keep using coal (which is the cheapest way to produce energy) they have to buy Units from Company B so they can be under the level you need to be to still be a company to produce those units. Heck no wonder they left this country!!!! This is redistributing wealth like crazy and they use the exchange to do it!!! Like the Stock Market and no one is watching it!!! I would call this like a ” shell company” only in the open. notice this is coming out of a “Banking Giant” what do they know about Climate Change???? But they know about money and how to get it! The answer is no ! Not only no but he’ll no ! Give the 44 trillion back ! Trees share CO2 under the grown with other species on trees ! THIS CHANGES EVERYTHING IN OUR FIGHT AGAINST FALSE UN EU SCIENCE BASED ON CO2 CAUSING GLOBAL WARMING OR CLIMATE CHANGE ! Thousands of new questions now need to be asked starting with ! Question #1— If there is too much CO2 , at 388PPM , as fake news UN science says , why would trees share their CO2 under ground with other species of trees ?¿¿¿???? Trees share CO2 under the grown with other species of trees ! Didn’t they predict some time ago that the world would enter a cooling period because of the amount of CO2 preventing the sun’s energy from passing though the atmosphere? There would be no reason on earth to predict that.